Jônatas Wehrmann (L), Renata Vieira and Henrique Dias in the ceremony, in Minas Gerais/Image: Nereu Jr.
Students in the Graduate Program in Computer Science of PUCRS Henrique Dias and Jônatas Wehrmann have won the 6th edition of LARA 2018 – Latin America Research Awards, do Google. The winners were announced at the Center for Engineering for Latin America, in Belo Horizonte. The company will award up to BRL 2 million to 26 investigations employing technology to deal with problems in Latin America. 17 of these proposals come from Brazil, 5 from Colombia, 2 from Argentina, 1 from Mexico and 1 from Peru. Health is a common issue among all the proposals. The investigations are intended to improve the services provided to pregnant women, assist the visually impaired or expedite the diagnosis of cancer. Jônatas Wehrmann, who has won three editions of LARA, has proposed several artificial intelligence models to understand the semantics of texts and images effectively and efficiently. His research will now look at resolution of more complex tasks. This may get computers to think about the content of images and answer questions. In the future, the project advised by Professor Dr Rodrigo Coelho Barros may materialize a device that will produce, for instance, an automatic description of videos for the blind and the visually-impaired. Jônatas claims that it will be possible to design glasses equipped with cameras to provide details of the settings people are in. 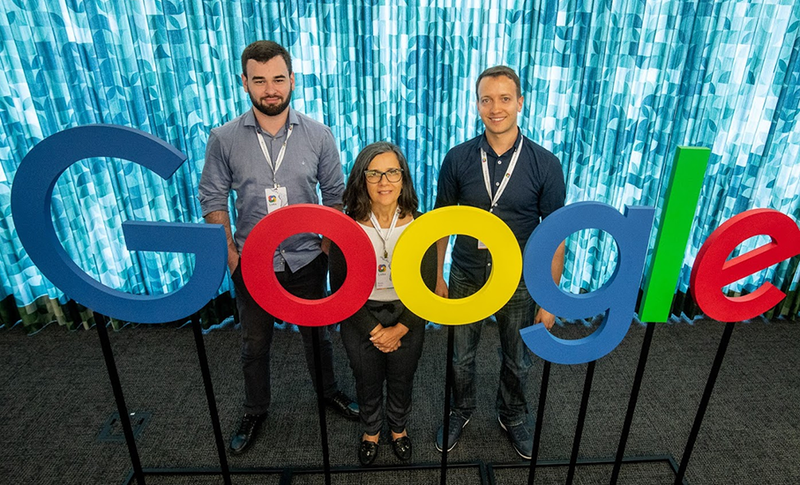 The recent achievements of Google have given him the chance to attend conference and present papers in an effort to exchange ideas with researchers from universities and companies from all over the world. Henrique Dias, who was advised by Professor Dr Renata Vieira, won big with a project that was intended to develop basic technologies in AI to assist health care professionals in hospitals in detecting adverse events in electronic charts. Initial data come from Nossa Senhora da Conceição Hospital and include annotations, medical prescriptions and laboratory analyses, with as many as 32,5 million records. By applying natural language processing and deep learning techniques, the research seeks to improve the patient’s safety and health care efficiency.